The Henley Style Dog Bandana is luxurious accessory for any dog to be seen out and about in! Very stylish, very much meant to be seen. The Henley provides a contrasting combination of green and red floral designs that makes a great statement accessory for your dog. 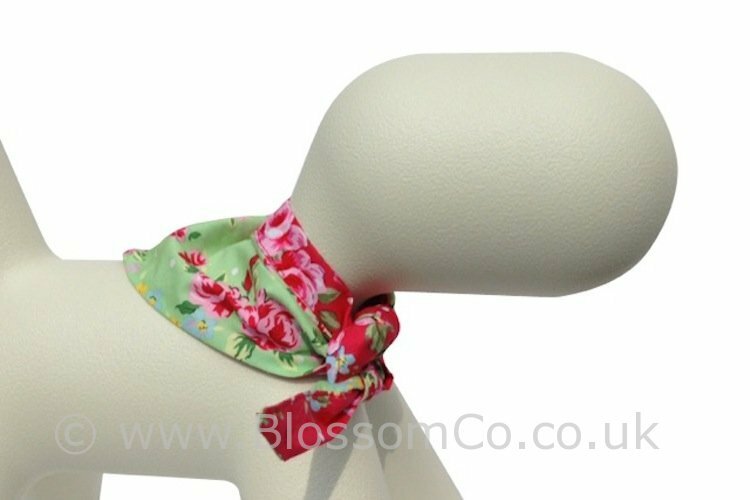 BlossomCo dog bandanas are quick and easy to fit and adjust with a simple tie knot. See our other products in our gallery showcase www.BlossomCo.co.uk/products/.